Sixteen more APIs have been added to the ProgrammableWeb directory in categories such as Financial, Messaging, and Insurance. Highlights include the Bestow API for life insurance quotes and sales, and several APIs for Barclays financial services and banking. Here’s a rundown of the latest additions. Food2Fork is a recipe sharing website. 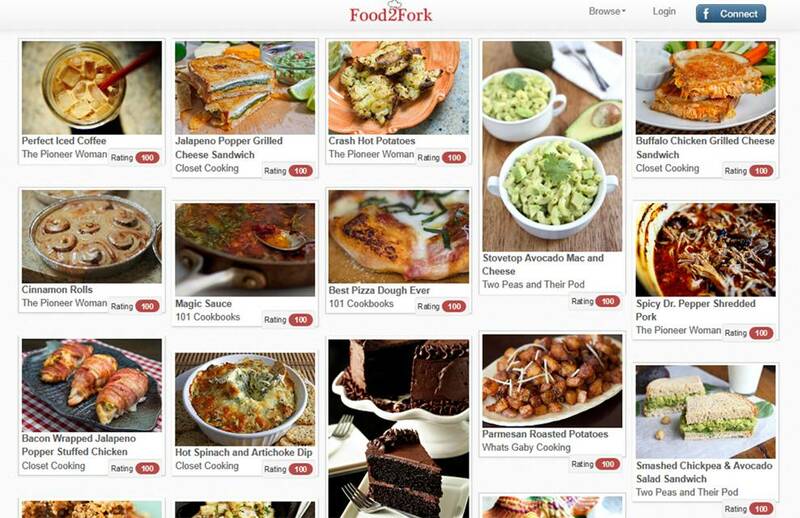 The Food2Fork Recipe API offers JSON responses about recipes based on ingredient search. Get name of recipe, full ingredient list, image of the recipe URL, original URL of published recipe, name of publisher, social rank of the recipe and more with the API. The Food2Fork API is listed under the Food category. See ProgrammableWeb‘s complete list of Food APIs. Reg Check UK Car valuations API finds the market price for a car. This information is returned by a SOAP call when providing a license plate and current mileage. Interested developers need to create an account before integrating with this API, which is listed under the Auto category. See ProgrammableWeb‘s complete list of Auto APIs. Foundry Technologies provides Internet of Things devices and technologies focused on people. The Foundry Technologies Relay API is used to pass messages to registered Relay devices. Relays can be connected with temperature and humidity sensors capable of making HTTP requests. Relays are 2.8″ color LCD WiFi-connected displays which can be controlled via an online interface or the Relay API. Messages are returned in JSON. The Foundry Technologies Relay API is listed under the Internet of Things category. See ProgrammableWeb‘s complete list of Internet of Things APIs. Bestow provides online life insurance services. The company has recently announced the launch of the Bestow Quote REST API, which allows access to a customizable insurance rate quote solution. Developers can use the API to provide term life insurance quotes and sales to users on their own applications. Bestow provides tools to help users with the quotes or customized coverage for Terms from 2 to 20 years, from $50,000 to $500,000 and Quotes coverage. This API is listed under the Insurance category. See ProgrammableWeb‘s complete list of Insurance APIs. Vectorspace AI platform provides cryptocurrency trading and investing ETF (exchange-traded funds) based on natural language processing and sentiment analysis algorithms. The Vectorspace AI API returns JSON data about cryptocurrency global trends, concepts and topics. The Vectorspace AI API is listed under the Cryptocurrency category. See ProgrammableWeb‘s complete list of Cryptocurrency APIs. Uinames allows developers to generate fake names and other information for design, testing, and mockup purposes. The Uinames API returns JSONP data over HTTPS requests with name, surname, gender, and region. Other data includes age, title, phone, birthday, email, password, credit card, expiration, number, pin, and security. The Uinames API is listed under the Names category. See ProgrammableWeb‘s complete list of Names APIs. One by AOL is an advertising company for mobile ads. The ONE by AOL Reporting API allows access to all of a user’s data currently available in the One by AOL: Mobile UI platform. The API provides methods to access revenue, traffic and impression groups reports data. Reports are available by date, hour, day of week, ad position and much more. The ONE by AOL Reporting API is listed under the Advertising category. See ProgrammableWeb‘s complete list of Advertising APIs. SMS.to provides SMS Marketing and SMS API gateway platforms. Developers can integrate the SMS Rest API to implement SMS notifications, OTP, reminders, 2FA (2 Factor Authentication) into workflows. The SMS.to API is listed under the Messaging category. See ProgrammableWeb‘s complete list of Messaging APIs. Mocean is an SMS messaging platform. The Mocean API offers a RESTful approach for sending SMS messages, verfying users with random generated codes, and checking for account information. This API returns JSON or XML formatted data. Mocean offers SMS and verification pricing plans that vary by country. The Mocean API is also listed under the Messaging category. RapidRatings platform provides financial health analysis services for enterprises, using financial health data pulled from thousands of suppliers and vendors. The RapidRatings Risk Management API allows ratings to be pulled by portfolio or RRID directly into ERP systems and internal databases for analysis. This includes the most recent three periods, or recent report, of batch data transfer for FHR, Core Health Score, 1 Year Probability of Default and more. The API is listed under the Financial category. See ProgrammableWeb‘s complete list of Financial APIs. Barclays provides transatlantic consumer, corporate and investment banking services in the UK and US. We have recently added several APIs from the company into our Banking category. They are listed here. Barclays Payment Initiation API allows users to initiate a single and immediate non-mandated funds transfer. Barclays Product Details API allows users to discover various financial products Barclays offers including personal accounts, SME lending products, business current accounts, commercial credit cards, and more. Barclays Consent API allows you to manage the authorization given to Third Party Providers (TPPs) to receive payments or access transaction history from Barclays customer accounts. Barclays Branch Locator API enables users to locate all Barclays branches throughout the UK. Uusers can find the geolocation of the branch, the opening hours and the facilities available at each individual branch. Barclays ATM Finder API allows users to locate all Barclays Automated Teller Machines across the UK. Users will be able to view the town, street name and postcode the ATM is located on and the services available at each individual machine. Barclays Account and Transactions API allow you to retrieve account information for Barclays customers. Previous article10 best Android backup apps and other ways to backup Android!